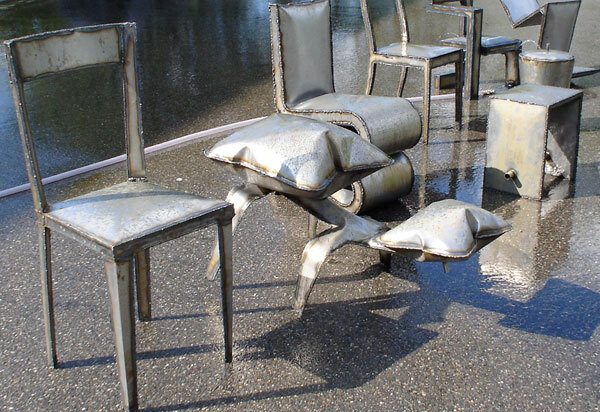 As a successful conclusion of the module "metal works" our MAS -students pumped up furniture design classics with water pressure. The objects were drawn in CAD software, cut with the CNC laser and manually welded together. Furniture fair Milano 2007 Thank you for your interest and attendance at our stand at the furniture fair Milano in the SaloneSatellite. (http://www.cosmit.it) We are pleased if our presentation suits you. We like to make these information available as a press statement. From 23. until 27. january 2007, the chair of Caad explains the "digital chain" with the ‘Neue Monte Rosa Hütte’ Project at the Swissbau in Basel, the trade fair of the Swiss building industry. A first 1:1 prototyp of a Monte Rosa room will be exhibited. Infoevent at the 24. January 2007, 18h, Halle 1, Stand B 99. [11.12.2006] On a prominent public space in the former harbour area of Trondheim an accessible "Camera Obscura" was inaugurated on Sat 09.12. The timber construction explores the full potential of automated joinery machines. 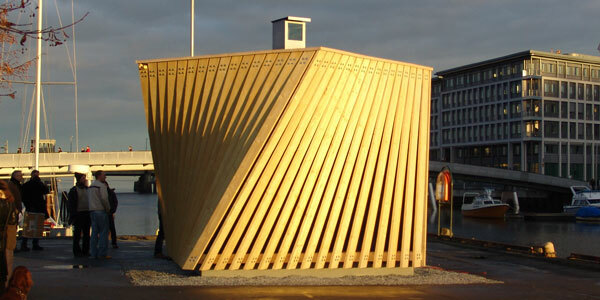 The structure was designed and built by students of NTNU Trondheim. Fabian Scheurer and Christoph Schindler from the Chair of CAAD supported the course with their knowledge on computer aided manufacturing. The CAAD-Säulenatlas is now available again! The Säulenatlas presents the classical doric and ionic order of columns generated after ten historical treatises. It is the result of the CAAD-course „replay säulenatlas“. The outcomes of the DWF Brave Tailor were presented at the Alu-Scout Innovationspreis in Solingen, Germany at october 17th. The jury lead by Prof. Tönis Käo awarded 4 Teams of the CAAD-course. An experimental construction is on exhibition. It chronicles the research, experimentation, and development undertaken by the postgraduate students in Computer Aided Architectural Design (CAAD) 2005/06. Within a three months period, the participants designed, programmed, and fabricated an irregular spatial structure, showing the potential of the „digital chain“; the entirely digital process from design through to production. The chair for CAAD is presenting four papers at the eCAADe06 - Communicating Spaces(s) | 06.-09.09.06 in Volos - Greece. Pia Fricker, Odilo Schoch and Oskar Zieta are presenting the work of the chair at the 24th Conference on Education in Computer Aided Architectural Design in Europe. The papers are covering research-, teaching projects and case studies. Ziel ist es, einen Atlas zeitgenössischer, Schweizer Wohngebäude zu erstellen. Grundlage und Datensatz für die Sammlung ist die Zeitschrift “Werk, Bauen, Wohnen”. Die gesammelten Informationen über die Gebäude werden systematisch als XML Daten archiviert. Dabei reicht das Spektrum von Grundrissen über die Textbeschreibung bis hin zu den Abbildungen. The seminar "From Utopia to Strategy: technology based urban systems for a global world" is contextualized within the relation between architecture, technology and society. 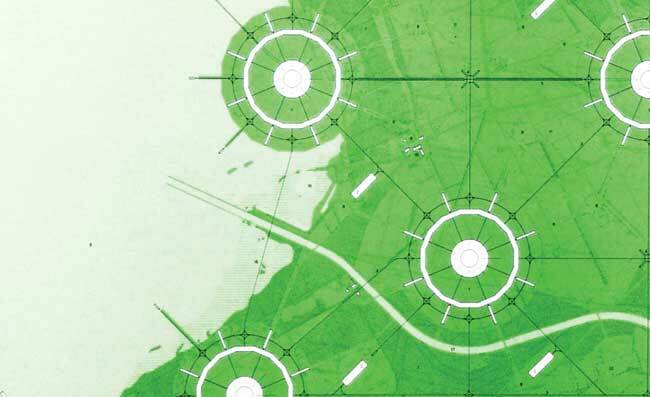 Goal of our seminar is to investigate, discuss and elaborate innovate strategies linking sustainable conceptions, technological systems and theory of architectural/urban design. This year's CAAD workshop will consist of developing, building and testing a material efficient sheetmetal structure. The students will learn to use a parametric 3d modeller, numerically controlled lasercutters and they will be introduced to the finite element analysis method. The possibilities and constraints of sheetmetal design and production will be demonstrated. They will learn to use CNC controlled lasercutters, punchers and hydraulic bending machines. Finally they will test if their design is structurally viable. The annual introductory lecture for bachelor students of architecture, begins with an overview of different computer aided forms of representation and ends with the introduction of new technologies for the computer aided construction and production of buildings. The weekly series of lectures is combined with short exercises. Since 2000, the CAAD Chair is organizing an annual seminar excursion to various cities in Europe. The excursion is the essential part of the Diplomwahlfach, called CITYSCAN. This year we traveled with a group of 20 students to Belgrade, the capital and largest city of Serbia. 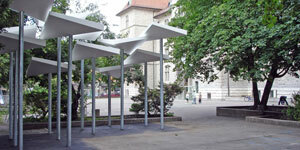 [26.05.2006] Within four days of the summer seminar week, 17 students built the complete metal work for a roof of a school in Zurich, just behind the Bäckeranlage in the city center. The workshop was held by a collaboration of assistants of Prof. Hovestadt and Prof. Deplazes. John Conway's "Game of Life" has still a great impact on our understanding of complex processes in biological, physical, and digital systems. Especially in Biology, Robotics, or Computer Science, the common dissociation from the analytical line of thought provides new scientific insights into complex behavior-pattern and morphological processes. In replay bild-o-mat the students developed an image query specialized for the tasks of architects. Therefore we examined the condition of the digital image, possibilities of annotation and methods for image compression. 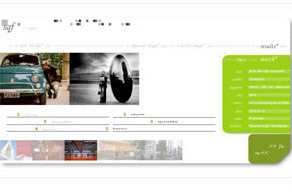 We looked at commercial image databases and browsers and also at art works dealing with questions of image query. Relevant questions we worked on: What are the differences between analogue and digital images? 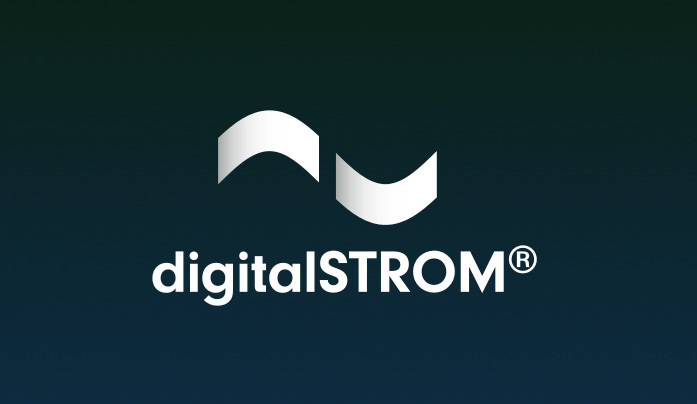 How can we use the digital image to manage with images in a new way? And more general: How were images used in architecture in history and now? How do we navigate within architectutal spaces? What architectural elements make a building to a recognizable place? And thus, what kind of mental image do we construct while exploring the spatial configuration of architectural spaces? The purpose of the project collaboration between CAAD and the Chair of Urban Design Kees Christiaanse is to investigate in the questions what kind of 'spatial vocabulary' we use in our mind while exploring the configurational structure of certain building layouts and recognizing their spatial elements as an architectural place. Keywords are wayfinding behavior, spatial cognition, orientation, mental image, architectural analysis. Steffen P. Walz, pervasive game design researcher at ETH Zurich's chair for CAAD, has been named a member of Forum Nokia Champion, a recognition and reward program for top mobile developers worldwide. 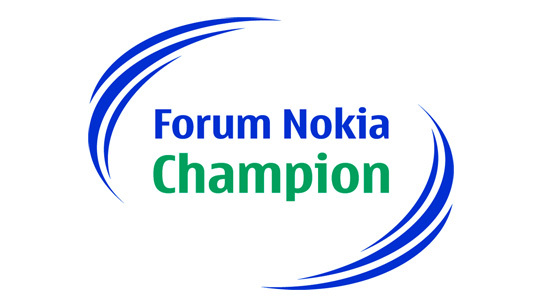 Forum Nokia Champions are a select group of outstanding individuals, honored because of their skills and devotion to the Forum Nokia community. Best Paper Award at PST 2006! The program committee of 'Privacy, Security and Trust' selected "Privacy in Video Surveilled Areas" as best paper for the 2006 conference. The paper presented the results of the collaboration of CAAD and Computer Vision Lab. [05.07.2006] In cooperation with a traditional dulcimer maker and a CNC-manufacturer, the Chair of CAAD reinventend Switzerland's most traditional instrument: According to the designs of dulcimer player Fredi Zuberbühler the Chair developed the geometry and CNC-data for frame and tops of the arched resonance body. Steffen P. Walz from the chair for CAAD, the Media Computing Group at RWTH Aachen University (Prof. Jan Borchers, Tico Ballagas), and non-profit multimedia museum Regensburg Experience are currently developing a location based mobile sightseeing game for tourists visiting Germanys best preserved medieval city, Regensburg. Nokias Game Design Research Group at the Nokia Research Center in Tampere, Finland, have agreed to sponsor the development and operation of the game with handsets and Symbian software development kits. REXplorer will be the first permanently installed pervasive game worldwide, featuring novel cell phone interactions such as situated gesture recognition. The semestral meeting of the chairs participating in the blue-c-ii research project was held on 25th November 2005. Eigth PhD students showed their research results and deliveries for the next milestone were announced. Torsten Spindler and Odilo Schoch presented the work completed at the Chair of CAAD. On 15. and 16. of September 2001 the exhibition 'Heilige Huusjes' took place in the Nederlands Architecture Instituut in Rotterdam. In a live demonstration of the KAISERSROT software for dynamic urban planning our CAAD-team allowed the visitors of the exhibition to participate in the design process of a new village. 22.10.2004 ETH-Tagung: ARCHITEKTURBRENNPUNKTE Papierwerdareal. Our CAAD-Team participated in a competition for the redesign of "Globus Provisorium", Papierwerdareal, Zürich. 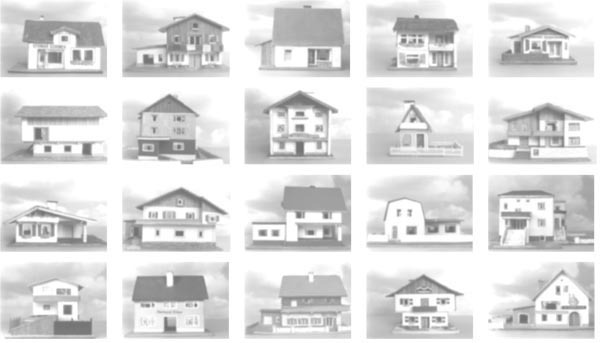 We presented the Konsensmaschine - a dynamic layout generator. 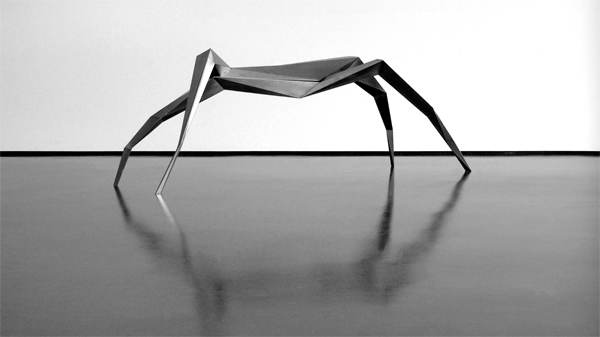 The construction of the arthropod complies with a kinetic model that consists of two segments. 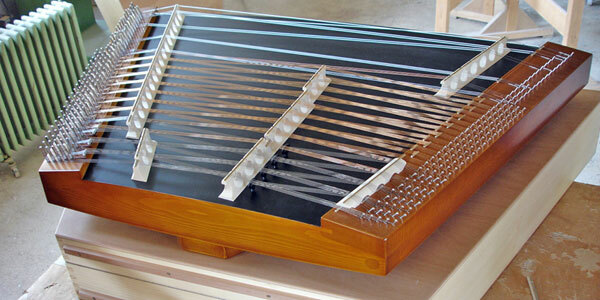 Every segment is made of the minimalized in the course of evolution movement instruments = leg+leg. Every leg complies four triangles that are combined together by "virtual muscles". Every movement of the arthropod´s construction results from the sucsessive up-coming tensions and relaxations of the muscles. In the configuration process, the gravitation as well as the friction forces are not going to be calculated within. The form is being in the everlasting movement. 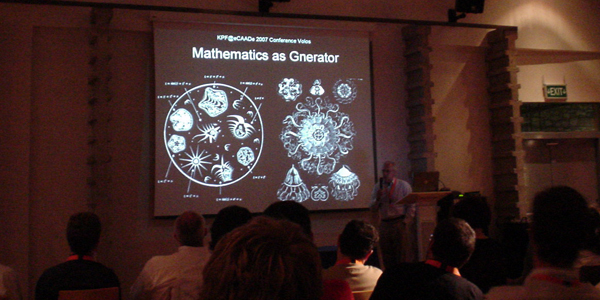 Every form of the arthropod´s construction - that is being generated later - must be bounded to the previous one. Within the CAAD's research project "ETHWOrld - Lecture Hall of the future" an impressive demonstration of networking physical space and distant data-bases was done. 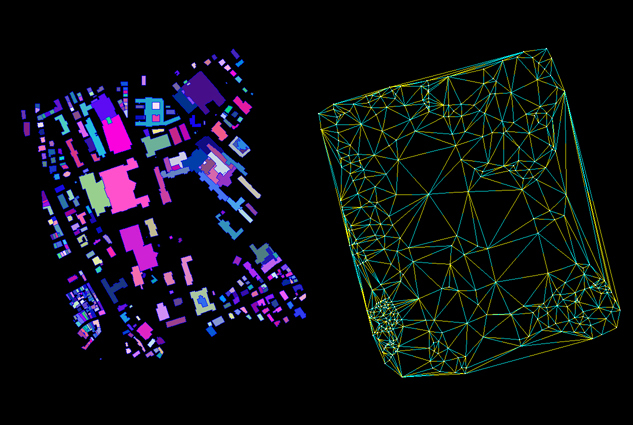 Thus showing the great possibilities of of digitally networked buildings. A software-prototype developed by CAAD backs on real ETH databases. Revision r1.4 - 09 Jul 2007 - 10:37 - OskarZieta Copyright © 1999-2003 by the contributing authors. All material on this collaboration platform is the property of the contributing authors.